When geothermal energy heats rock deep within the Earth, the molten result is called lava. Lava takes many forms, but the most well known erupts from a volcano or fissure in the surface of a planet. The color of lava depends on its temperature and will shift shades as it cools. Bright orange gives way to crimson copper. A dark, brownish red fades to black as the lava shifts from a liquid to solid. 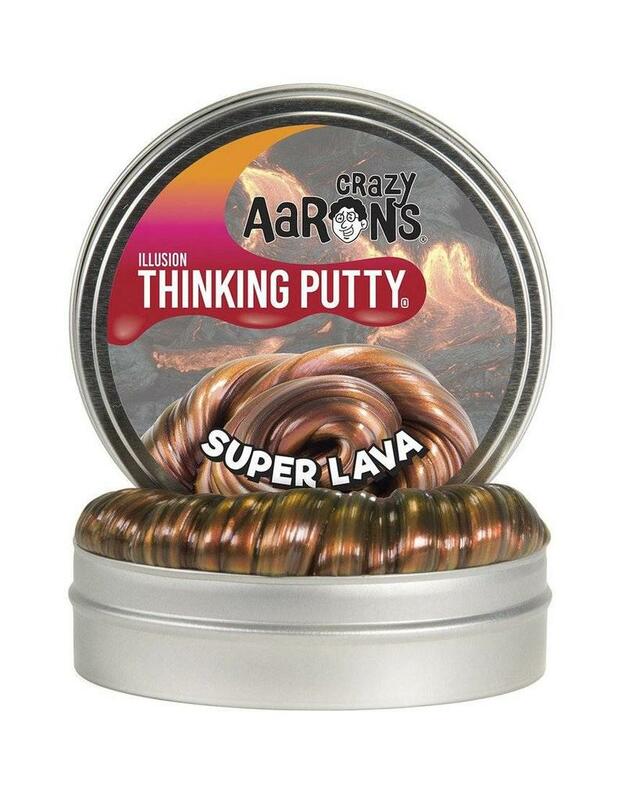 Experience this amazing color shift for yourself with Super Lava Thinking Putty.